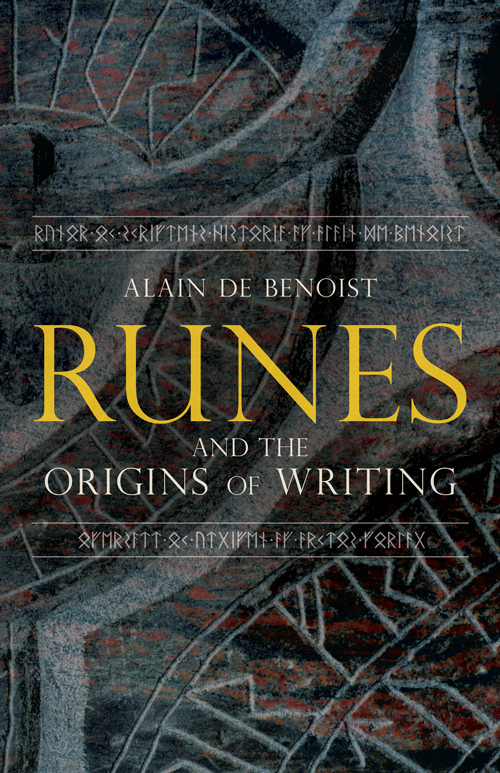 In this wide-ranging yet concise study, Alain de Benoist brings his incisive intelligence and wide erudition to bear on the fiercely debated subject of the mysterious origin and practical and magical functions of runes, providing the reader with a thorough grounding in the potential origin points and evolutions of the Fuþark. 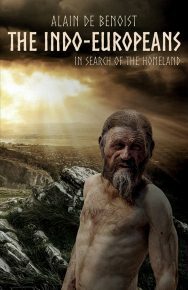 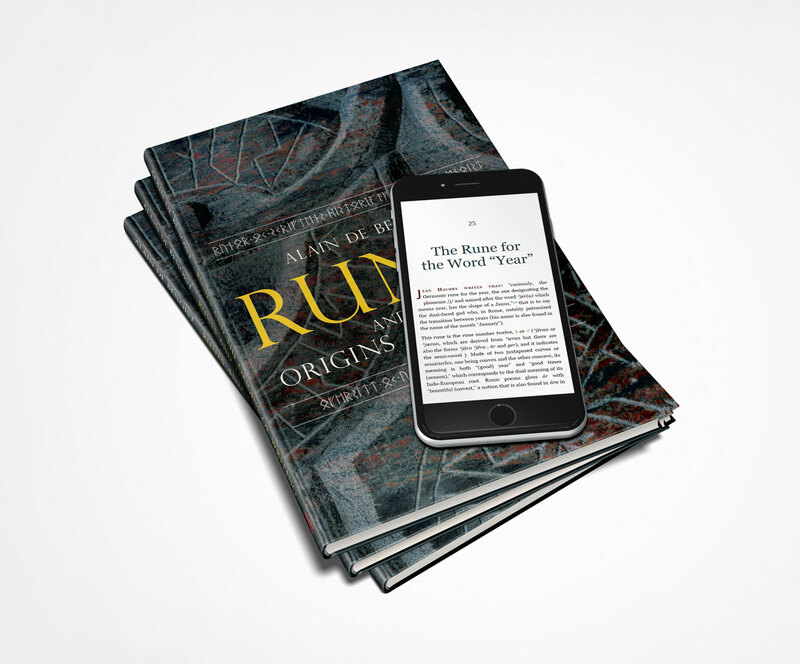 Runes and the Origins of Writing carries its reader on an archaeological and anthropological journey through an enigmatic past, giving to layman and academic alike unique insight into the history of this archaic script, and others like it. 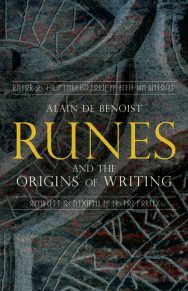 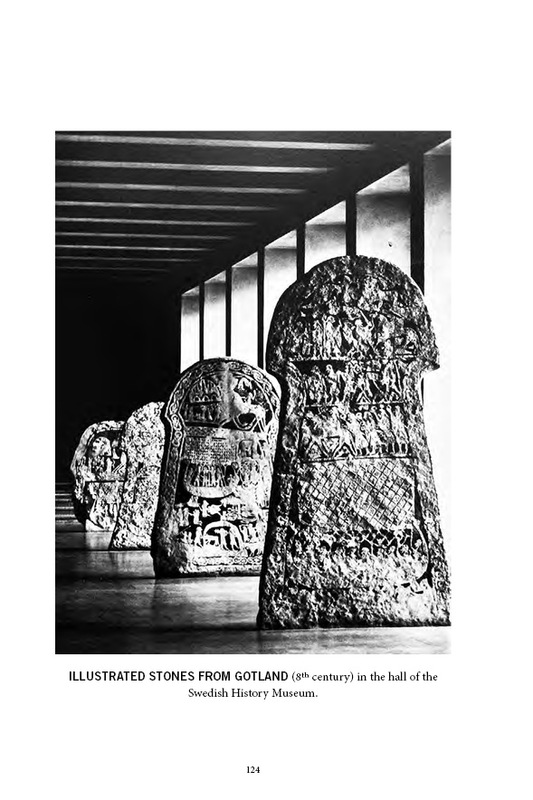 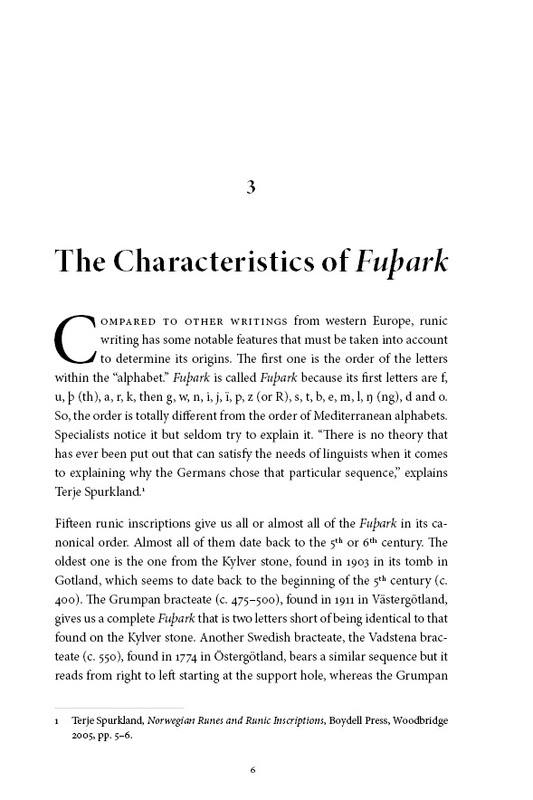 Without a doubt, Runes and the Origins of Writing fails to disappoint, and in fact opens up a new front for looking into the history of Europeans and the mystical links between practice and metaphysics that seem to be a hallmark of Indo-European philosophy and its pagan religions. 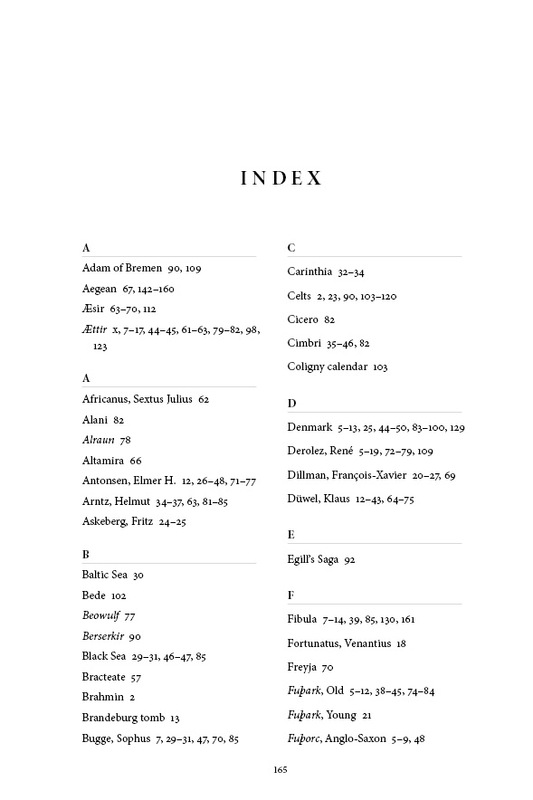 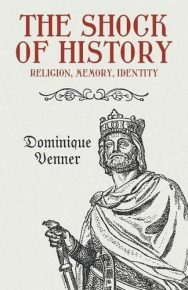 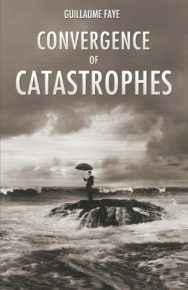 de Benoist writes in a fluid, easily-readable style that includes a high degree of rhetorical devices designed to open up areas for future thinking, making the book seem like a Socratic dialogue composed of questions based on the interpretation of fact more than an argument from selected facts. 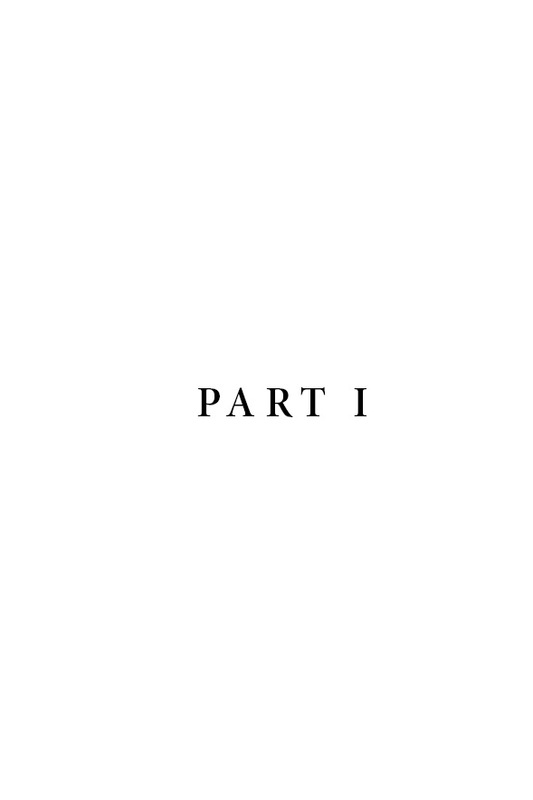 This opens up the topic and lets it breathe. 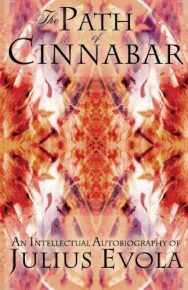 This is a book review and then some! 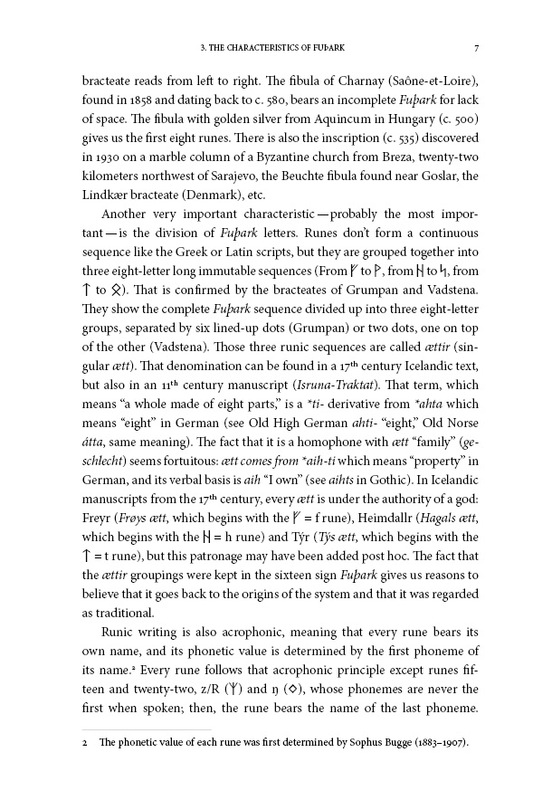 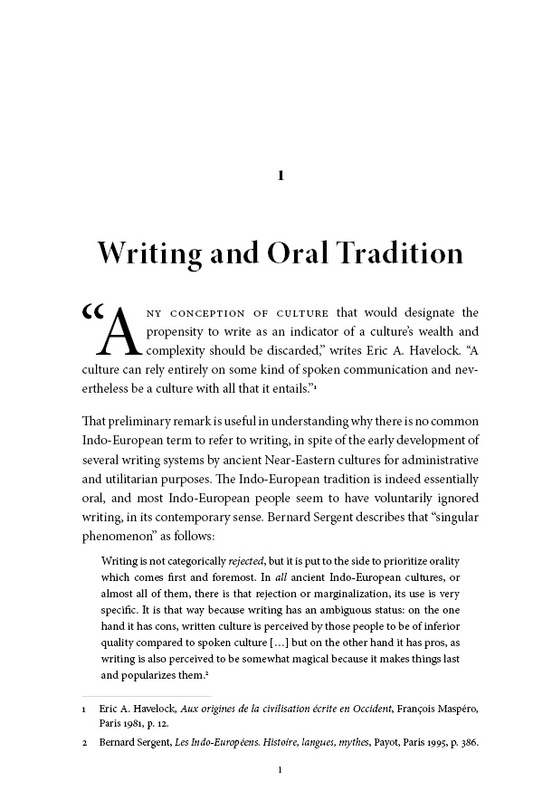 [Y]ou will learn some history along the way, especially on the Indo-European peoples, our languages, and culture. 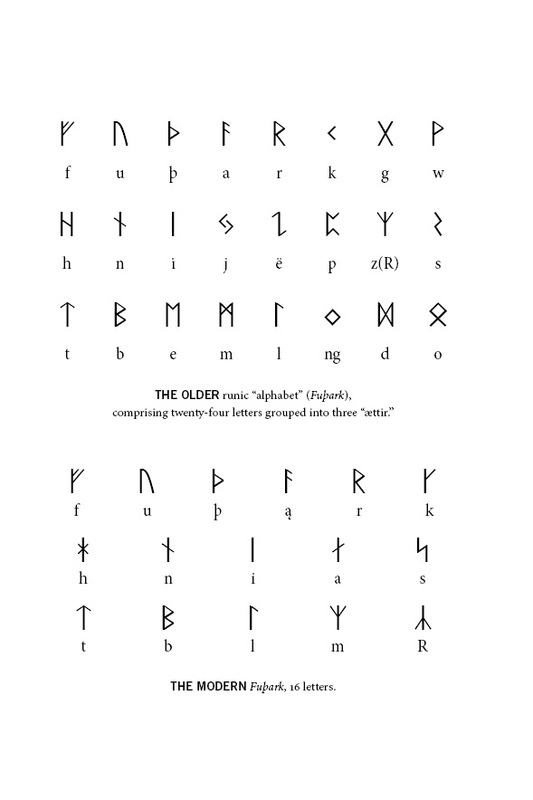 I will also [...] tell you exactly why this is not your typical runic handbook and why you should buy this book!